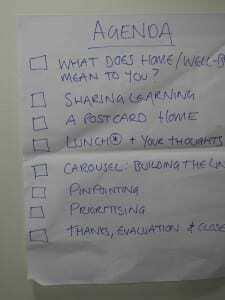 Context and Concepts: What do we mean by ‘home’ and ‘wellbeing’? The first workshop was held on 13 May 2014 at the SUII, Richmond Street, Glasgow. The format was highly interactive with no formal presentations. The event was designed to stimulate discussion and cross fertilisation of ideas. Thoughts were captured on cards and flipcharts, through video and still photography and through audio recordings. Visual stimuli such as postcards and pictures form magazines were used to help participants articulate their thoughts and ideas. 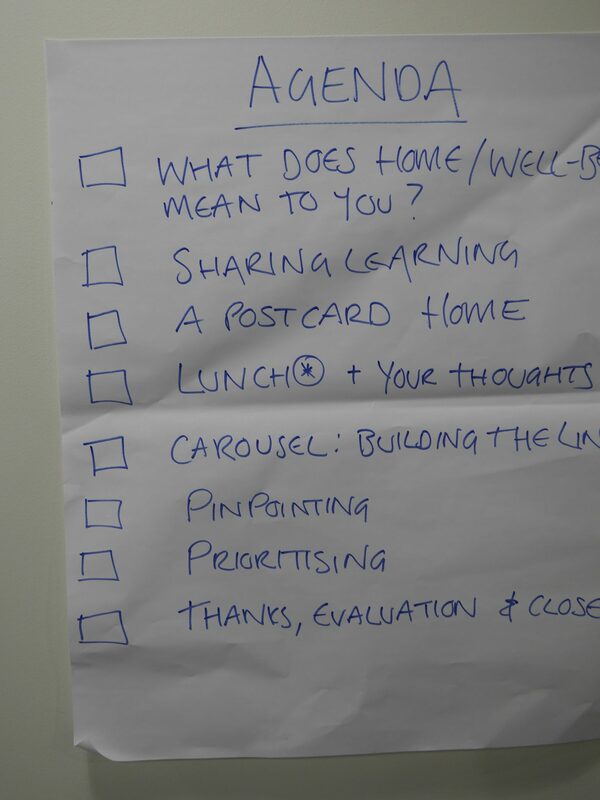 What do home and wellbeing mean to you?